In the first introductory lecture on Political Ethics, Greg Bahnsen reminded his students that there are three main types of Christians: Doctrinarians, pietists, and transformationalists. Bahnsen reminded his students that if we isolate any one of those qualities we fail in our calling. The problem, according to Bahnsen, is when we are forced to make a decision without realizing that these are connected realities of a mature Christian expression. On this program, we interviewed Rev. Randy Booth. We discussed the legacy of the late Dr. Greg L. Bahnsen. Pastor Randy Booth has been an ordained minister for 25 years. He is the director of Covenant Media Foundation, and is the author of several published articles and the books, including: Children of the Promise, Backbone of the Bible, The Standard Bearer, Unto You and Your Children, and Covenant Baptism. a) What was your relationship with Greg Bahnsen during his lifetime? b) The work of Covenant Media Foundation. c) Greg Bahnsen’s professional career. f) Speak about Greg Bahnsen and his commitment to inerrancy, theonomy, presuppositional apologetics. h) What is Greg Bahnsen’s greatest legacy? i) Tell us about Bahnsen’s newest book on apologetics and how it came about? Pastor Randy Booth has been an ordained minister for 25 years. He has been married to his wife Marinell for 34 years, and they have three grown and married children and five grandchildren. Pastor Booth holds a Bachelor of Science degree in history and psychology, and has completed graduate studies in philosophy and apologetics. He is the director of Covenant Media Foundation, and is the author of several published articles and the books, including: Children of the Promise, Backbone of the Bible, The Standard Bearer, Unto You and Your Children, and Covenant Baptism. Pastor Booth is the Council Moderator of the CREC. He has been actively involved in the pro-life movement and has worked with both home schools and Christian day schools for more than twenty-five years. He currently serves as the chaplain of Regents Academy in Nacogdoches, TX. Editor’s Note: In these posts, I have tried to offer a simple introduction to Presuppositional apologetics. 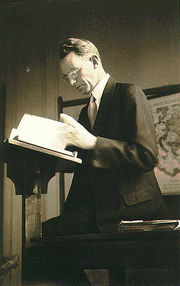 Many in our day are unaware of the incredible influence of Professor Cornelius Van Til. These posts serve to distinguish the Reformed View of apologetics from Thomistic approaches and to encourage Christian thinkers to self-consciously presuppose God’s existence in every apologetic encounter. Just as Calvinism distinguishes itself from other systems of thought in the area of cultural transformation, so too, does Calvinism differ itself in the area of epistemology. The superiority of the Reformed tradition over other philosophical approaches to epistemology is even clearer when we examine the foundation of their thinking. We are how we reason; we reason how we were made to reason. Though Christian humanity is filled with dignity, we are also filled with sin. This is what some call the “noetic effects of the fall.” Simply put, our minds are in the “valley of the blind.” Our new humanity rescues us from our autonomous epistemology. It is for this very reason that we are to think as God intends us to think. Romanism and Arminianism have virtually allowed that God’s counsel need not always and everywhere be taken as our principle of individuation. This is to give license to would-be autonomous man, permitting him to interpret reality apart from God. The Reformed believer knows that he himself has been taken out of a world of misinterpretation and place in the world of truth by the initiative of God. See my articles on Abraham Kuyper on the Abraham Kuyper archive list. This is the language used by Cornelius Van Til. For instance, consider atheist George Smith’s methodology. In his debate with Professor Bahnsen he stressed that his philosophy is Aristotelian. This form of reasoning was later picked up by Thomas Aquinas. By Thomistic, I mean the works of Thomas Aquinas, who strongly emphasized the use of natural reason to come to theistic conclusions. Arminianism is a system of doctrine that teaches that man has the free will to choose or reject God, and his salvation is dependent on a cooperative effort. Van Til, Cornelius. Common Grace. Philadelphia: The Presbyterian and Reformed Publishing Company, 1947. pg. 7. Finally, Professor Bahnsen’s lecture on the “Myth of Neutrality” on Youtube. One of the greatest debates in modern history occurred over 10 years ago…now it’s free. Bahnsen’s great debate with Gordon Stein for a penny. This is the famous formal debate between Dr. Bahnsen and atheist promoter Dr. Gordon Stein held at the university of California (Irvine) in 1985. Hear how hard it is to deny God’s existence and how intellectually rigorous the Christian position actually is. The antithesis between followers of God and followers of Satan is sovereignly inflicted as God’s judicial curse. This enmity is not only social but also intellectual in nature, and, therefore, to ignore it in our apologetic is to compromise the gospel. Fundamental to the position taken herein is the conviction that God’s special revelation — His written word — is necessary as the objective standard of morality for God’s people. Over against the autonomous ethical philosophies of men, where good and evil are defined by sinful speculation, the Christian ethic gains its character and direction from the revealed word of God, a revelation which harmonizes with the general revelation made of God’s standards through the created order and man’s conscience(p.2). The overwhelming majority persists in seeing some ethical norm not derivative from God’s Holy Word. The more a society denies its necessary guide the more its decline is inevitable. Where is the world to find a moral standard by which to judge right and wrong? Where is government to find ultimate basis for judging criminality? Bahnsen states that the fundamental position of theonomy is that the answer to all those questions is found in the revelation of God. 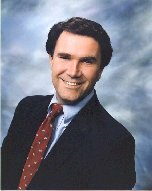 Professor Greg Bahnsen, whose death 10 years ago was a defeat for the Christian Apologetic world, but a victory for God’s great providence, has left us with some great treasures in a myriad of topics. In a radio interview recorded months after the Iraq War in 1991, Bahnsen elaborates in what is to be a thoroughly Biblical foundation for going to war. This discussion is found in more detail in a three-part series on “Just War” found in the Covenant Media website. These will be two summaries of his many points. Further, due to the relevant nature of his arguments, they can also be applied to the current war in Iraq. 1) Does the US have the right to police the world and save humanity from their dictators? Bahnsen answers that in no place in Scriptures does God ever grant the right for a nation with greater power and wealth to send their armies to other nations in order to save them from their chaos. Bahnsen further notices that in the Kuwait scenario, the troops were not even allowed to celebrate their religious holidays (Christmas) due to the Islamic laws of the land. In other words, nations around the world want the support of the U.S. but do not want to grant them religious freedom once they are there to aid them. Here is where Bahnsen is brilliant. He argues according to Scriptures that a nation’s top priority is to protect his/her own citizens (Romans 13) before protecting others citizens from other lands. As a side note, we are all aware that though the U.S. has not been struck again since 9-11 we have been and are being invaded every day by illegal immigrants and educational tyranny by the secular elite who are inherently anti-American. Bahnsen concludes this section by stating that nations want the privilege of citizenship (meaning they want the same protection due to American citizens), however, they do not want the responsibilities of citizens (that is, they do not want to submit to the authority of those saving them nor do they want to allow their deliverers any rights; whether religious or otherwise). Simply, to use a Biblical analogy, they want a king’s army without giving allegiance to the King. 2) When do we have the right to attack? Here Bahnsen is clear and cogent. The right to attack is only when there has been sufficient evidence of threat against our nation. Of course, the obvious question arises: “When can we know that there is a clear threat?” In this case, Bahnsen acknowledges the difficulty inherent in such a question but notes that unless the citizens of a nation are not clearly in danger, then warring against another nation is un-Biblical. One example of such a clear threat (to use a modern analogy different from Professor Bahnsen for the sake of relevance) is if Iran declared that they have in their possession nuclear bombs and are ready to strike the U.S. within three weeks. In this case, Bahnsen affirms that preemptive strikes are necessary and desirable for the protection of the nation’s citizens. As anyone who reads can see that these arguments can be perfectly addressed in the current war on terror or in Iraq (which is supposedly where the war should be fought first). The question at stake is not whether Saddam Hussein should be tried for his crimes, (my opinion is that since there is such clear evidence he should be charged and executed immediately) for everyone in their right minds agree that he should be taken out of power; the true question is: “Has God granted the right for any nation to spend their citizens’ money (and as we know much more than was originally intended), their citizens’ lives and much more to defend another nation?” These questions and more must be addressed if we are to develop a clear Biblical view of war.